This is a shot South from Deer Ridge Junction, where Trail Ridge Road and Fall River Road meet. It's a few minutes after sunrise, the day after it snowed. 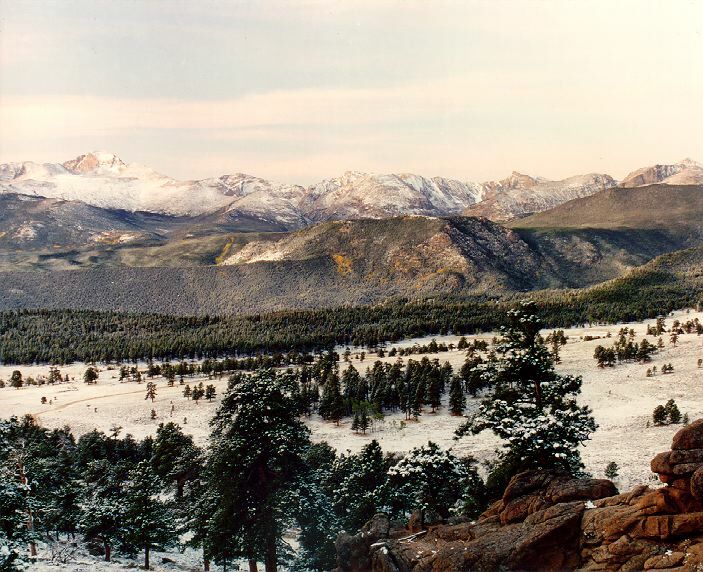 The highest of these peaks, at the left, is Long's Peak. the ridge in the middle ground is a glacial moraine. The valley below is Upper Beaver Meadow. Long's Peak, Rocky Mountain National Park, Colorado.